I’m literally in shock that next week is Thanksgiving… how did this happen? 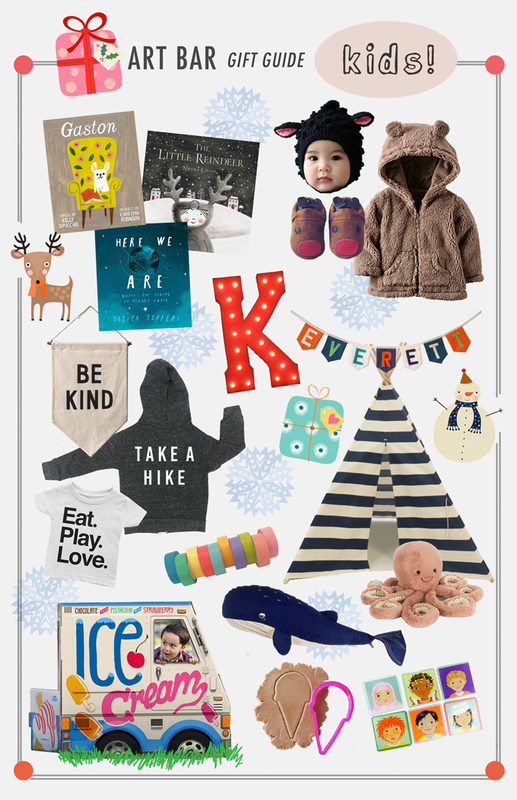 I have been working on collecting the best kid gifts for my holiday gift guide, so don’t panic. I got you covered. Everything from books to clothes to toys to bedroom, your cuddly baby and hipster kid will be prepared for 2018. I’m not going to lie, pulling together a gift guide is worrrrkk. I haven’t done one since 2012, and now I know why. But it was also really fun. My kids are older now so I don’t get to look through all the cute things out there for littles. I tried to pick all the stuff that I would get for my own kids. I hope you find something that strikes your fancy! I Never Forget a Face ~ We love memory in our house, it’s just a great game for all ages. This one is our fave from Eboo. They have lots of different ones to choose from so find one that would spark your child’s interest. Rainbow washi tapes ~ Every child, from toddler to teen, loves pulling and cutting tapes. Stock your art shelves with these solid rainbow colors. For a bigger list of art supplies, visit my art supplies page. Sweet treats cookie cutters ~ One of the best activities we did when my kids were little was play “bakery” with playdough. These cookie cutters would be the cutest stocking stuffers, along with a container or two of homemade glitter playdough! Busy board ~ This wooden bus-shaped busy board is great for boys and girls. My daughter was obsessed with yellow busses when she was a baby/toddler. This is a handmade item which, is even more of a bonus becasue you know it’s made well. 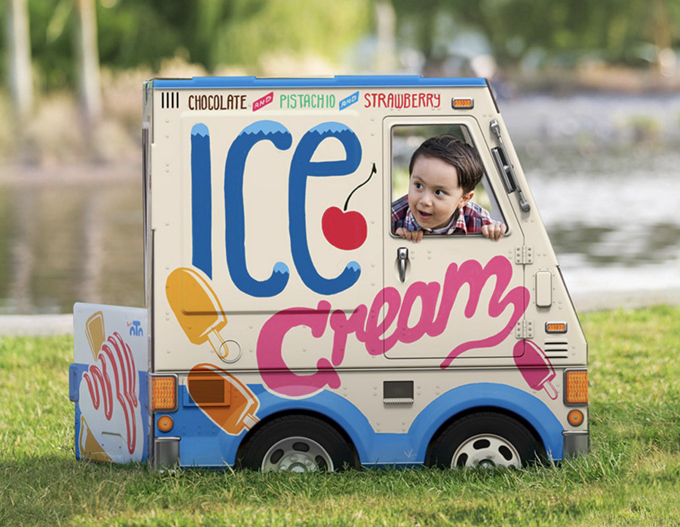 Cardboard ice cream truck ~ Summer on wheels, all year round. This food truck is made from cardboard. Ages 2 and up, free shipping! Teepee play tent ~ Made by hand and roomy enough for more than one child. I love the bold stripes. 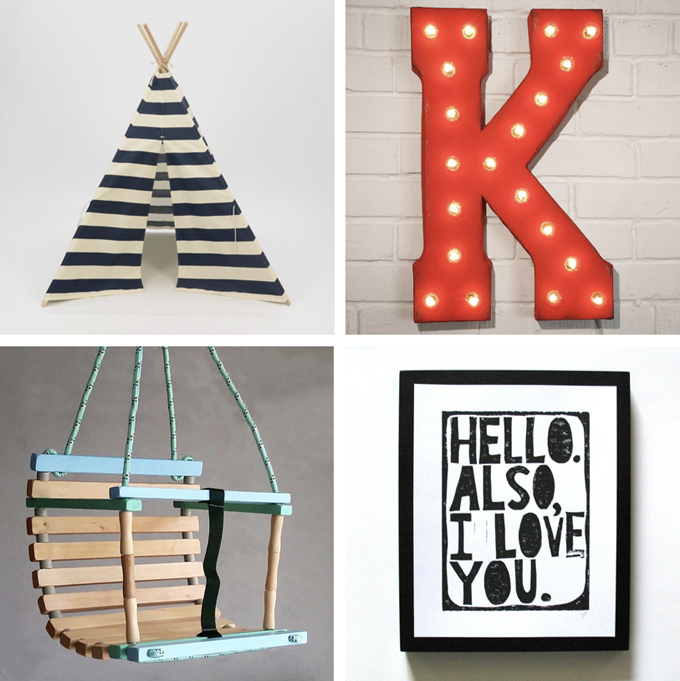 Vintage metal light-up letters ~ Made by hand, the lighbulbs are even dimmable! Create any word or phrase. Wooden swing ~ Made by hand with organic paints. Good for ages 6 months to 3 years. I picture this as an inside swing – how cute would it be in a bedroom or playroom? Hello. Also, I Love You ~ Linocut print using hand-carved linoleum block. We have one, I bought it years ago for my daughter and even though she is now fifteen, it’s still her favorite. 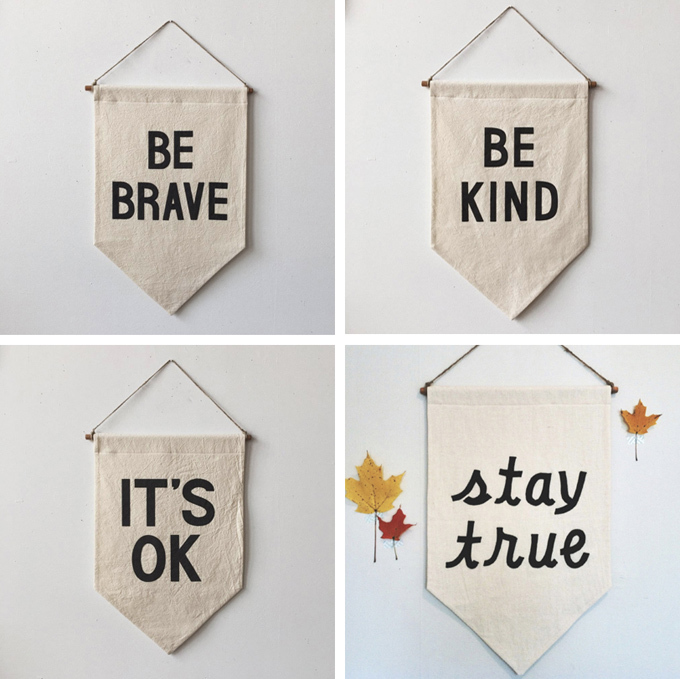 Affirmation banners. Handmade, silkscreened on unbleached cotton for a vintage look. I’m in love with them all. 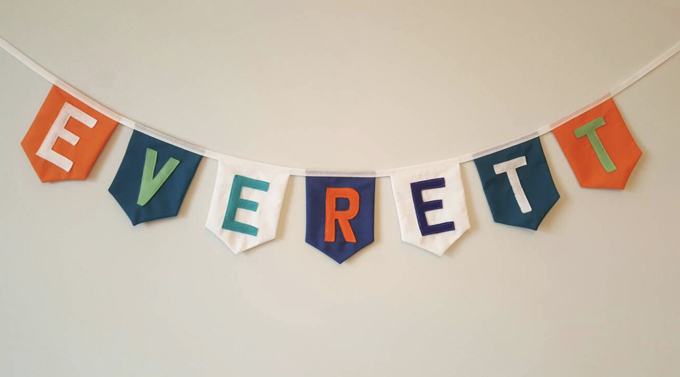 Personalized name bunting ~ Felt letters sewn on cotton, custom made for any name or phrase and using any colors. 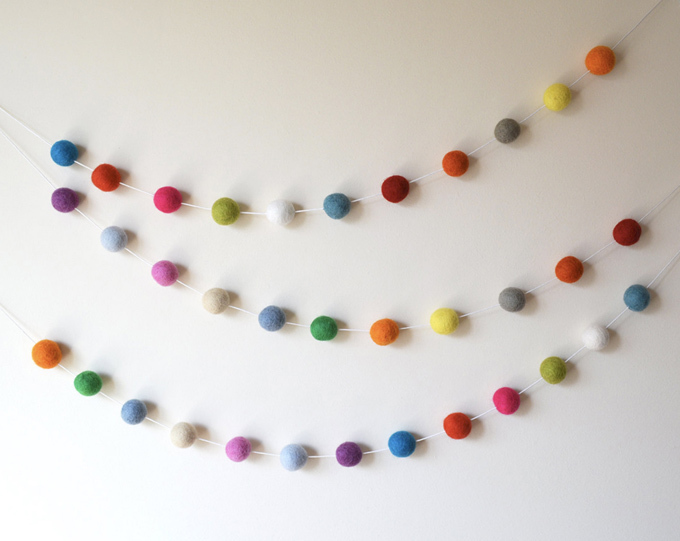 Felt ball garland ~ Perfect to decorate a baby or child’s room, gender neutral. Made by hand using beautiful eco-friendly pure wool felt balls. 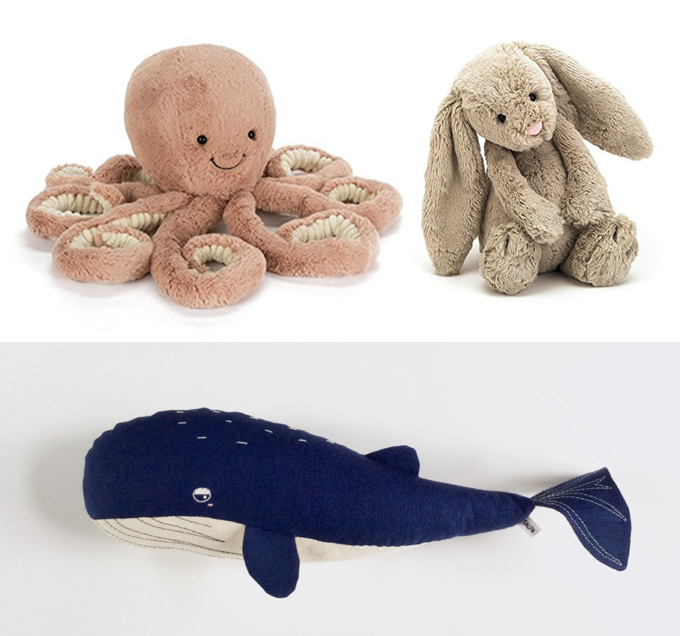 Pink stuffed octopus and brown bunny by Jellycat ~ If you’ve never owned a Jellycat stuffed animal, these are the best!!! Softest and cutest by far. They have many animals to choose from. Big blue whale ~ Handmade using cotton fabric with embroidered details, this whale is 21″ long. I love him. Gaston by Kelly DiPuccio ~ A bulldog and a poodle learn that family is about love, not appearances. It’s ok to be different. Wonderful message and beautiful illustrations. Here We Are by Oliver Jeffers ~ Insightfully sweet, with a gentle humor and poignancy, here is Oliver Jeffers’ user’s guide to life on Earth. 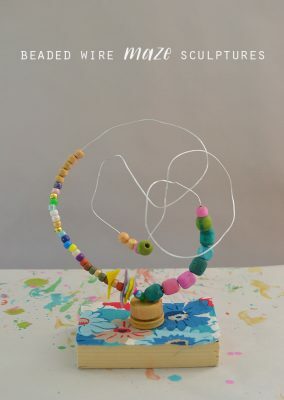 Created for his son, he shares his value system of kindness and tolerance. 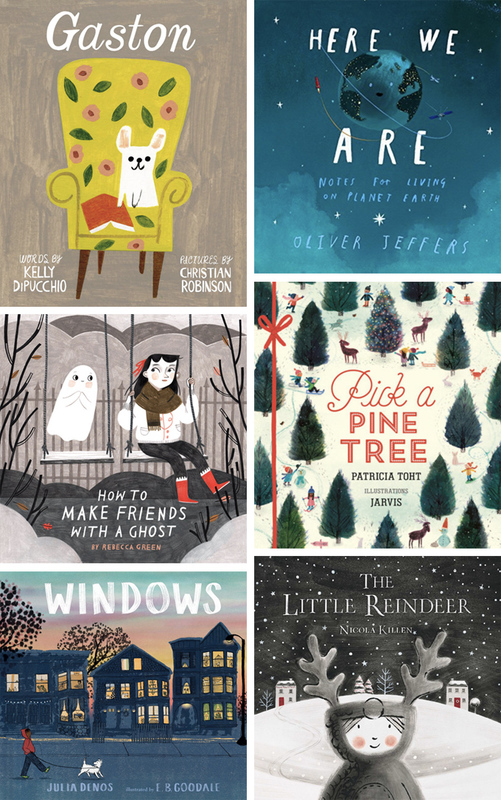 How to Make Friends with a Ghost by Rebecca Green ~ A whimsical story about ghost care, Rebecca Green’s debut picture book is a perfect combination of offbeat humor, quirky and sweet illustrations, and the timeless theme of friendship. Pick a Pine Tree by Patricia Toht ~ Joyously drawn and rhythmically written, this celebration of family, friends, and the holiday season is as merry as the tradition it depicts. Windows by Julia Denos ~ Walking his dog at dusk, one boy catches glimpses of the lives around him in this lovely ode to autumn evenings, exploring your neighborhood, and coming home. The Little Reindeer by Nicloa Killen ~ An enchanting Christmas story about a magical yet unlikely friendship between a little girl and a lost reindeer, lovingly told and illustrated with red foil highlights and interactive die cuts. 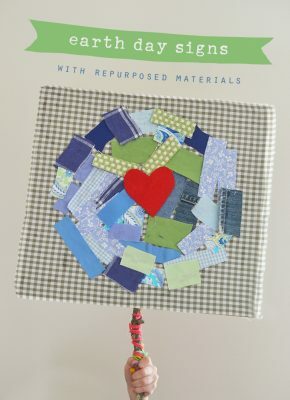 KidArtLit ~ Art kit meets storytime… delivered! 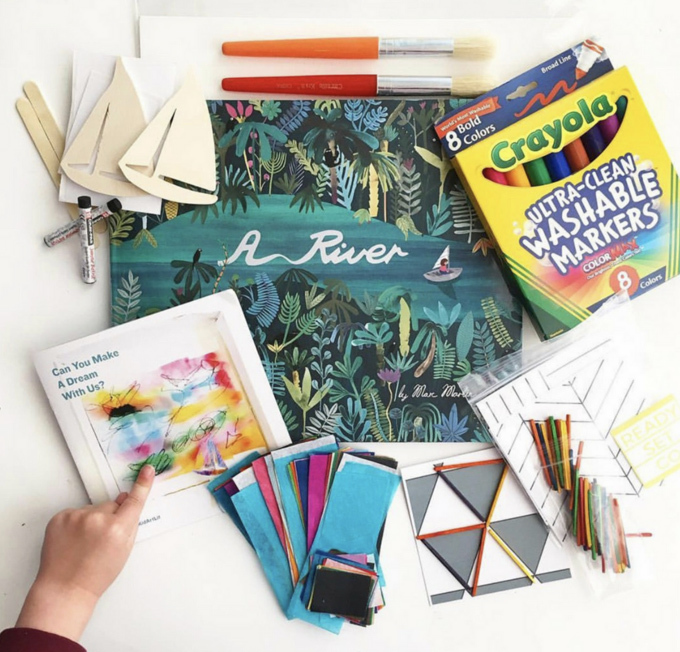 That’s right, this subscription based art & literature kit comes to your door monthly. 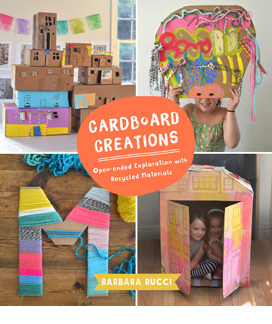 It’s a wonderful way to make reading and art part of your family routine. And you will build the most amazing curated library! 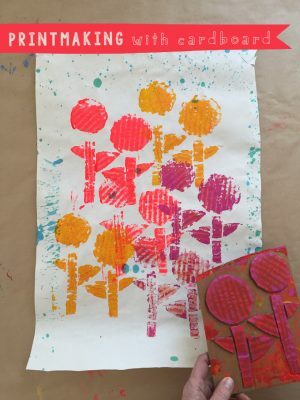 All art is process-based so kids won’t get frustrated with how-to steps. There is no right or wrong, it’s all about the experience. 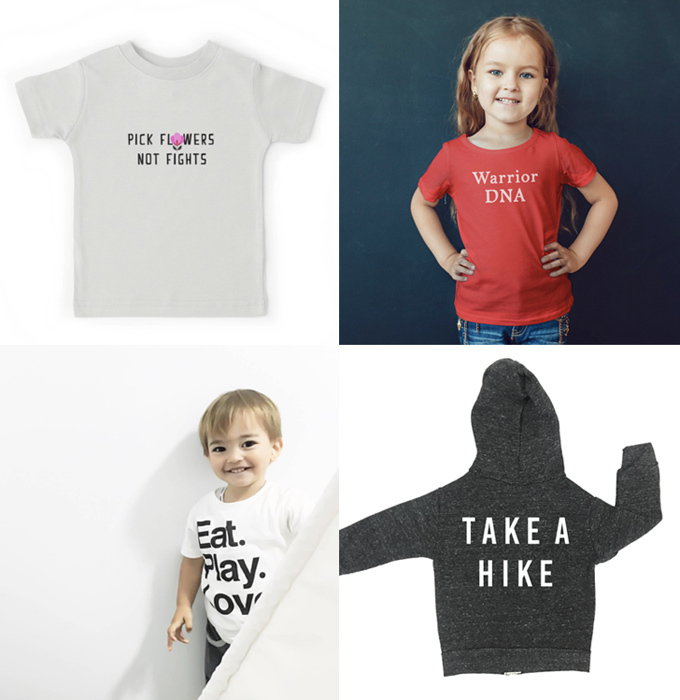 Pick flowers not fights ~Shirts for kids and grownups, too. Plus stickers and mugs on this site. Warrior DNA ~ Choose your color shirt. Eat. Play. Love. ~ This is such an awesome play on Elizabeth Gilbert’s book Eat Pray Love. I want a shirt for myself. Take a hike ~ Such a cut little hoodie, there is a pine tree on the front. Lamb hat ~ So cute, I can’t stand it. She also has a lion hat which is ridiculous (as in ridiculously cute). I want a baby! Handmade with organic wool. 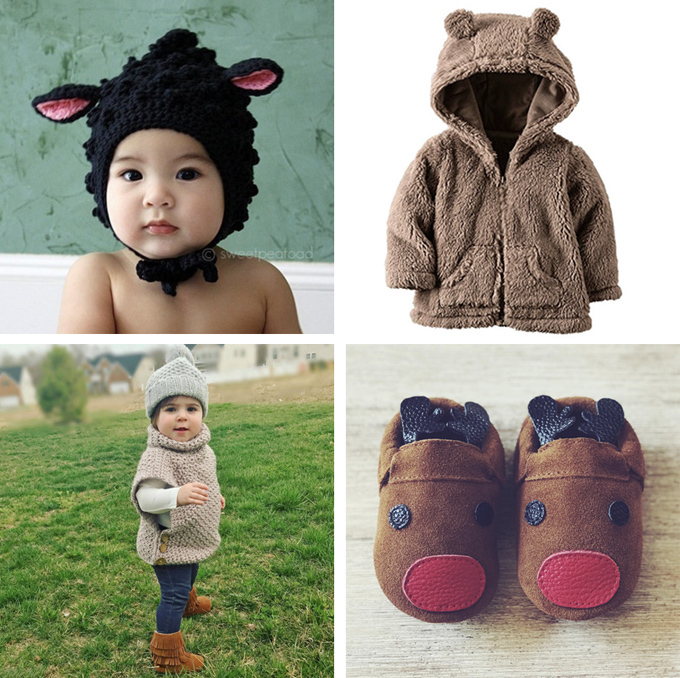 Fleece bear hoodie ~ My kids had a version of this when they were little, it was the best little fleece coat ever! Crochet cowl neck pullover ~ Handmade. I love the style of this pullover, so easy to wear and perfect for those crisp days where you just need a quick extra layer, but still able to move freely. I want a grownup version! Reindeer booties ~ I just had to include these. How cute are they?? Handmade with genuine leather. Sizes 0-3yrs. 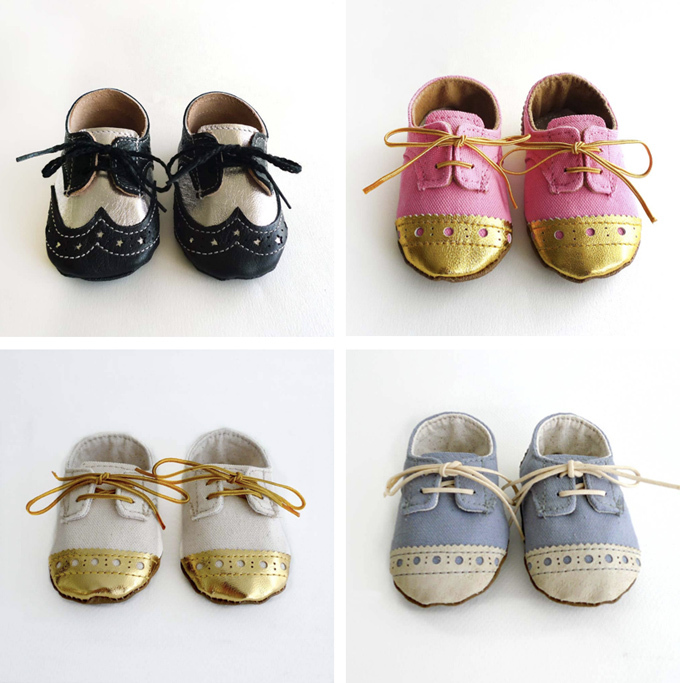 Handmade baby shoes ~ I honestly think I wouldn’t be able to stop at just one pair if I had a baby. These are handmade, and the color combos are so gorgeous! 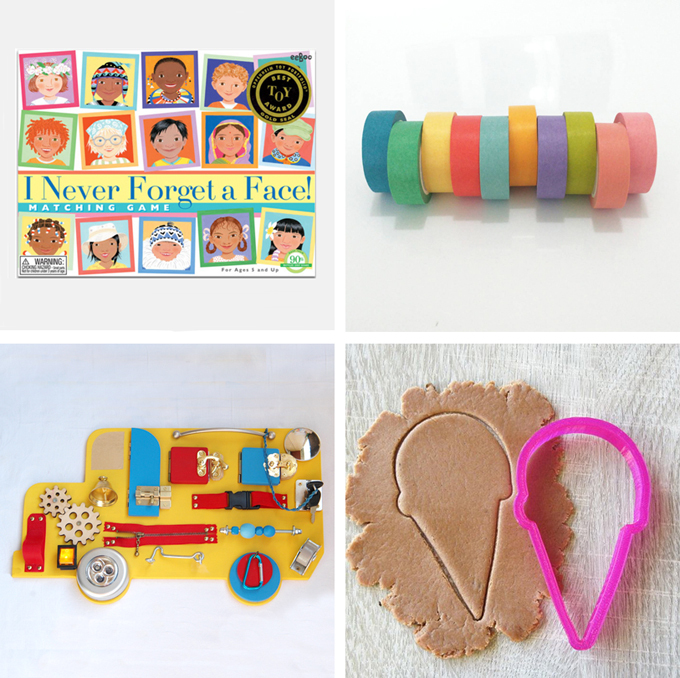 And that concludes my long list of goodies for your kids! Now just click “buy”, then sit back and have a cup of tea and read your book because you are done. (As if…). Love, Love, Love your list. Although I teach preschool art, I am always a bit stumped when it comes to my own grandchildren. Thanks for all these wonderful suggestions. I like the look of the books! I’m going to order Pick a Pine Tree for my 4 year old, but we will all (6 and 8 year old as well) enjoy it. P.S. After reading your post on storing kids art I have spent a fair while scouring local garage sales and I found the perfect little dresser. One drawer for each kid and so far the system is working really well for me. Here in Australia school has just finished for the summer, and instead of report cards sitting on the kitchen bench annoying me for months while I figure out where to put them, they’re already in their respective drawers! Thank you for such a great idea!